U.Va. Drama to Present Rebecca Gilman's The Sweetest Swing in Baseball | Department of Drama, U.Va. The University of Virginia’s Department of Drama presents Rebecca Gilman’s acclaimed comedic drama, The Sweetest Swing in Baseball, which opens on Thursday, October 22 in the Helms Theatre. Directed by Betsy Rudelich Tucker, The Sweetest Swing in Baseball will run October 22-24 and October 27-30 at 8:00pm. Tickets are $14.00 for adults, $12.00 for seniors, U.Va. faculty/staff and U.Va. Alumni Association members, and $8.00 for children and students. Tickets are available online at www.artsboxoffice.virginia.edu, by calling 434-924-3376, or in person Monday through Friday from noon until 5 pm at the U.Va. Arts Box Office (109 Culbreth Road). Full-time U.Va. students may receive one free ticket if reserved at least 24 hours in advance of their desired show date. 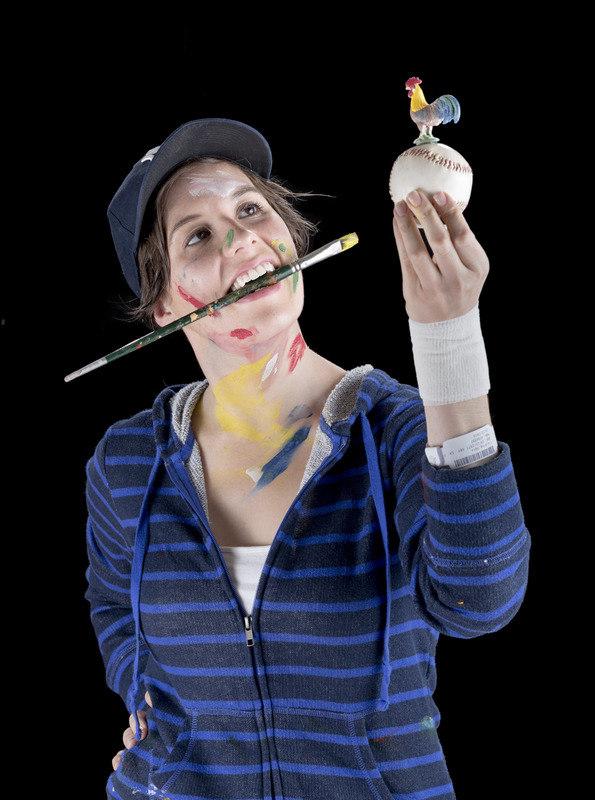 The Sweetest Swing in Baseball , a clever, serio-comic play, explores the pitfalls of celebrity, self-expectations, and mental illness by introducing the audience to talented artist Dana Fielding whose latest exhibit has been panned by art critics. Her paranoia and depression after the bad reviews send her boyfriend packing. Her self-worth at rock bottom, she attempts suicide and lands in a mental ward where she finds she enjoys the structure of her days. When she learns her insurance won’t cover more than a 10-day stay, she and two fellow patients devise a plan to extend her hospital stay by convincing doctors that she believes she is baseball legend Darryl Strawberry. Award-winning playwright Rebecca Gilman received an M.A. from the University of Virginia and an M.F.A. from the University of Iowa. While at U.Va. she studied playwriting with U.Va. Drama Associate Professor Doug Grissom. Her works include Luna Gale, A True History of the Johnstown Flood, Dollhouse, Boy Gets Girl, Spinning Into Butter, Blue Surge, The Glory of Living, The Heart is a Lonely Hunter and The Crowd You’re in With. She is an Associate Professor at Northwestern University. Free parking for all University of Virginia Department of Drama productions and events is available at the Culbreth Road Parking Garage, conveniently located alongside the theatres.